A victim of the former youth team coach said he tried to contact the late player’s parents. FORMER WALES MANAGER Gary Speed was one of four players from Barry Bennell’s youth teams to die by suicide later in life, a jury was told on Wednesday. Speed, who played for Leeds, Newcastle and Everton, passed away in 2011 at the age of 42. Giving evidence at Liverpool Crown Court on Wednesday, a victim of former youth team coach Bennell said he tried to contact Speed’s parents after the suicide. The victim, who Bennell admitted abusing in 1998, when he was jailed for nine years, said he wanted to get in touch because he had read they had no explanation for his death. “Four people from teams I have played with, with Bennell, have taken their own lives,” the victim said. “Whether they have taken their lives due to Barry solely I don’t know but all I know is how it’s had an impact on me and how it could impact on other people. The evidence came on the same day another of Bennell’s victims told the court he believed two key members of staff from Manchester City, including the chief scout Ken Barnes, knew he had been molested but did nothing about it. Bennell, 64, has admitted one charge relating to the latest former Manchester City player to give evidence — the fifth in the opening six days of the trial — but pleaded not guilty to six other counts involving the same person, including attempted buggery. He has pleaded guilty to seven charges involving three boys but denied 48 counts of sexual offences against 11 alleged victims, from 1979 to 1991. Email “Gary Speed among four coached by Bennell to have died by suicide”. 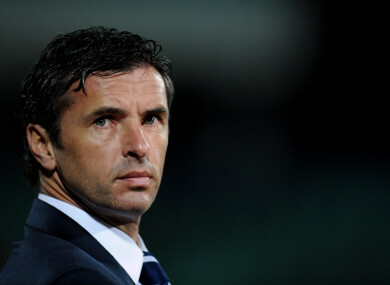 Feedback on “Gary Speed among four coached by Bennell to have died by suicide”.